Todays #wcw spotlight is given to the “Queen of Tejano” Selena Quintanilla Pérez. She was born as Selena Quintanilla in Lake Jackson, Texas on April 16. 1971. She started singing at the age of six and at the age of nine became the lead singer of the newly formed band “Selena Y Los Dinos” alongside with her older brother Abraham III(AB) playing bass guitar and older sister Suzette playing the drums. Their huge break came when Selena(age 15) won the Tejano Music Award for Female Entertainer of the Year said imdb.com. She soon continued to receive more awards like Female Vocalist of The Year. Her second solo album “Ven Comingo” gained a lot of success, especially one song from the album “Baila Esta Cumbia”. Her first ever number one hit was “Buenos Amigos” which was a duet with Salvadoran singer Álvaro Torres. She released an album named “Entre a Mi Mundo” which brought many of her signature songs like “Como la Flor”, “¿Qué Creías?”, and “La Carcacha”. 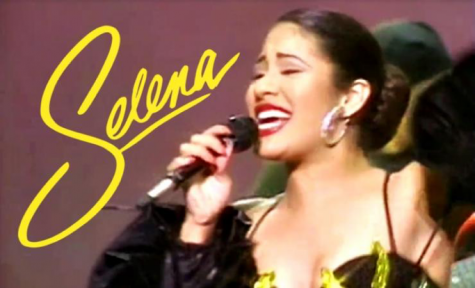 Despite all the success, one of Quintanilla Pérez’s greatest successes came during the 36th Annual Grammy Awards (1994)when her album “Selena LIVE!” won the Grammy award for Best Mexican/American Album making her the first Tejano singer to ever win this award. That same year she released the album “Amor Prohibido”. This brought out more well known songs such as the song with the same name as the album, “No Me Queda Más”, “Bidi Bidi Bom Bom”, and “Si Una Vez”. She also opened her boutique “Selena Etc” which sold clothing, jewelry, etc in Houston Texas and San Antonio Texas. Quintanilla Pérez even went as far as perform at the Houston Astrodome and broke the executive record of attendees all three times she performed (especially her last televised concert on Feb.26. 1995) with over 60,000 attendees. 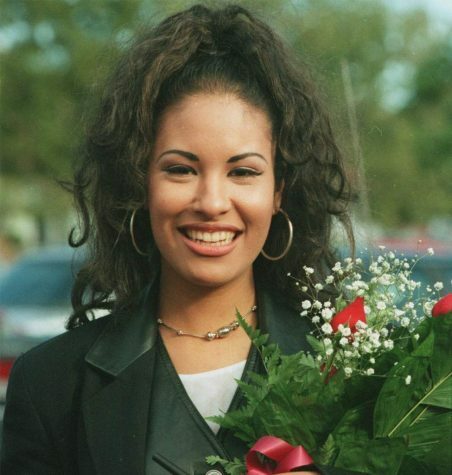 She also spent time working for charity in her community like going to public middle schools and high schools to talk with students about how important it is to stay in school said http://www.selenaforever.com. “Stay in school, don’t drink, don’t do drugs, stay chaste, live good, and go to church.” Quintanilla Pérez said. Quintanilla Pérez also was a spokesperson for the Drug Abuse Resistance Education(D.A.R.E) program. Quintanilla Pérez y Los Dinos participated in two charity softball games (first one lost, second one won). Despite all of her success, Quintanilla Pérez’s life came to a tragic end. On March 31. 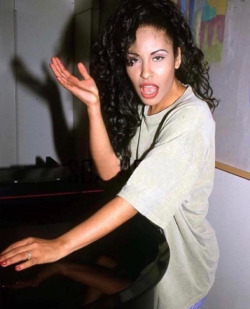 1995 Quintanilla Pérez went to meet with Yolanda Saldívar, her fan club president about missing financial documents and ended up being fatally shot by Saldívar. Quintanilla Pérez did not survive the fatal wound and pronounced dead at 1:05 p.m according to several sources. She was only 23 years old. This marked a huge loss for the Latino and music communities since Quintanilla Pérez was raising into stardom. That same year, her fifth and final album “Dreaming of You” was released. Since then, it has received a lot of positive attention and is loved by Selena fans. This year marks 24 years since we lost a beautiful, pure, and talented woman. This doesn’t mean she’s forgotten, far from it. Many generations still feel her impact and continue to adore her music and her person. Singers such as Shakira, Ricky Martin, and Jennifer Lopez were able to grow as singers due to Quintanilla Pérez’s success. Two years after her death, a biopic film was made in her honor with Jennifer Lopez playing as Selena. Many events have been done to honor Quintanilla Pérez’s life and success. “I want to be remembered not only as an entertainer but as a person who cared a lot and I gave the best that I could and I tried to be the best role model that I possibly could.” Quintanilla Pérez said in an interview. And she is remembered as such 24 years later.